Pressers are invariably boring; unless Allen Iverson is involved. 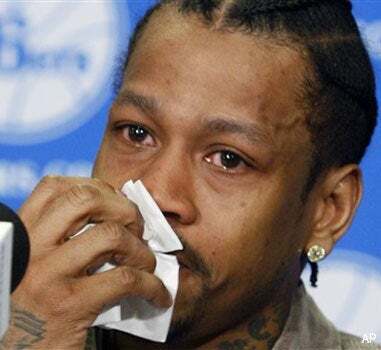 We got a doozy today, as AI broke down announcing his return to the 76ers. I know, it can be emotional going from riding the bench for a 7-12 team to riding the bench for a 5-14 team. At least that's what I think Iverson was choking out between sobs.